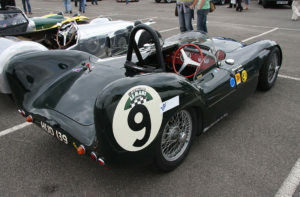 Lotus cars are among the sports car brands that originated in the United Kingdom. Lotus was first established in the 1950s, when Colin Chapman, a graduate of University College, London, built his first car. Colin Chapmen built his car in a shed which was really the bottle store for an adjacent hotel. Additional land alongside the hotel was subsequently acquired, and on this site the Lotus workshops have grown up steadily as demand has increased. Lotus cars are built for the enthusiast seeking the purist driving experience in a modern car. Whilst being the mastermind behind the company, Chapman attracted many talented people including Mike Costin. Between 1960 and 1980 Lotus expanded rapidly producing fine road cars such as the Elan and being successful in many racing formulas including F1 and Indy. Lotus cars were designed not with just with passion, but with hard, applied science. Chapman designs and technical innovations formed the basis for some of the most successful racing and sports cars ever made. Chapman had noted that the twin channel chassis construction of the Austins became heavy when properly reinforced, thus with his engineering knowledge Chapman designed a robust multi-tubular body-frame. The new structure was light, yet extremely rigid. Chapman was probably the most talented post-war automotive engineer. After enjoying some success in motor racing, he built his first road car, Mk 7 (or simply called Seven), in 1957. 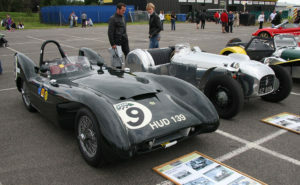 Lotus has been one of the leading Grand Prix manufacturers since they entered Formula One 1960. Without Chapman’s innovative direction, the team never regained its momentum, and after a series of management changes the directors Peter Collins and Peter Wright made heroic efforts to keep the team going until the end of the 1994 season, when underfunding and debts forced it into administration. Lotus cars are what a sports car should be – light, agile, stylish and affordable. From Elites to Elans, from Esprits to Exiges; all remain faithful to Colin Chapman’s original premise of speed through lightness. Lotus will unveil an environmentally-friendly version of its sporty roadster called Eco Elise. Unlike most eco-friendly propositions of our time, the Eco Elise study doesn’t revolve solely around tailpipe CO2 emissions. The Eco Elise employs a system of green light prompts that help the driver time their gear changes for maximum fuel efficiency. Lotus cars are now the epitome of speed and manoeuvrability. Lotus sports cars are considered to be among the most popular cars that managed to stay that in spite of the industrial decline which occurred in 1970s. Lotus sports cars are renowned for their engineering and exceptional performance with the current models of the Elise and Exige both being hugely sought after vehicles.